Click HERE to browse leisurely through all our vacation homes. It sounds like a wonderful idea. Most houses don’t rent for less than a week but some may. There is a house open for your dates in my specials box . The house is called Catch ‘N’ Keep and is on the Coral Bay side. You can find the location of other houses on the Information Page. Please send an email inquiry from the page of each vacation home of interest. Our homes are owned or run by a number of individuals and management companies and they all do their own booking. The email link on each home’s page will get you directly to the person who can help! Jean your St. John Links site is great for our business “Seaview Homes Inc.” and we want to continue to have a valued working and personal relationship with you. 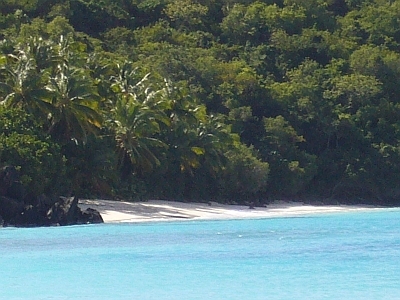 We visited St. John about 5 years ago and absolutely loved it. We are making plans to return this May and would like to rent a house/villa that is it easy walking distance to shoreline snorkeling. We need a 3 bedroom home. Does anyone have any recommendations? You can find the location of all of houses on the Information Page http://stjohnhouserentals.com/information-chart.htm . Please send an email inquiry from the page of each vacation home of interest. Our homes are owned or run by a number of individuals and management companies and they all do their own booking. The email link on each home’s page will get you directly to the person who can help and can give you the information you are looking for! Have a wonderful time on St John. Hi – We are buying a business on St John and need a long term rental to enable us to settle in and determine over time, if and where we want to buy. Thanks for volunteering for the National Park. My best advice is to send an email inquiry from the page of each vacation home of interest. Look for homes in the Cruz Bay area, which can include the North Shore, Chocolate Hole, Great Cruz Bay, Rendezvous Bay, South shore, Hart Bay, Frank Bay and Fish Bay. At St John House Rentals our homes are owned or run by a number of individuals and management companies and they all do their own booking. This link, information page gives you an overview of each house which should help you make a decision. Let them know your target dates and how many of you are in your party. Have a great time on St. John and again thanks for volunteering.